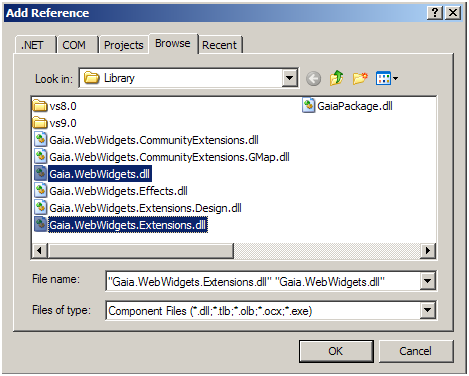 Note the names of the current Gaia dll's being used. 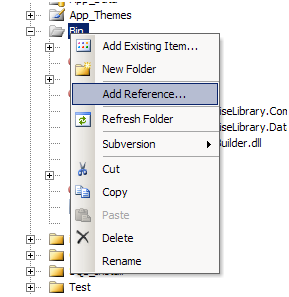 Right-click on the Bin Folder and select "Add Reference"
Select the browse tab and navigate to the Gaia 3.6 files. Select the dll's you require and click OK. 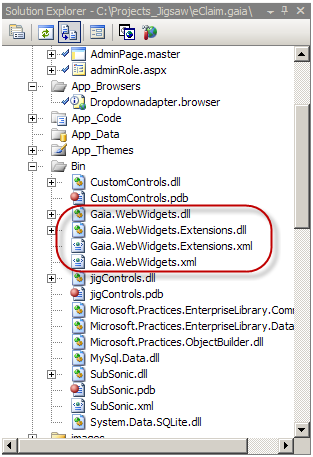 The new dll's are added to the project. Update the project code to remove ambiguous references. 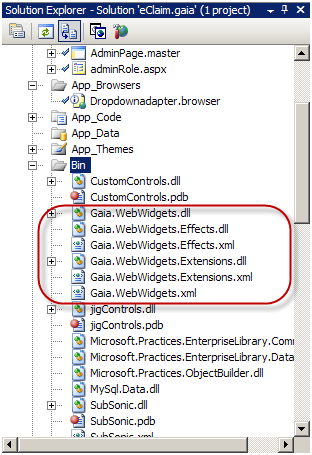 In my case the ambiguous references where due to Validation and GridViewRow objects that now also exist in Gaia 3.6. To complete the update I could change to the new Gaia 3.6 controls for GridViews and Validators.